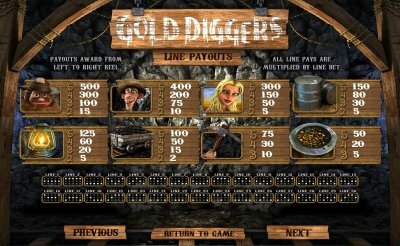 Overview: BetSoftGaming, innovators of true cinematic 3D gaming software, have announced the release of Gold Diggers, the fifteenth title in their wildly successful Slots3� library. 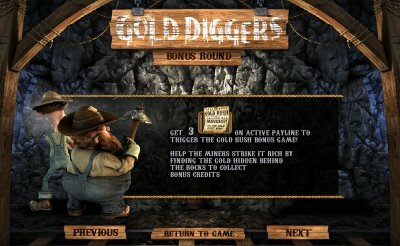 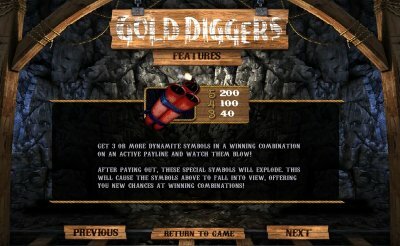 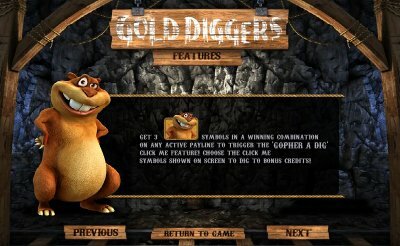 Gold Diggers, a five reel, 30 line 3D slot game, tells the story of intrepid miners Zeke and Jeb during the California Gold Rush of 1849 in their quest to unearth enough gold to satisfy the beautiful Daisy. 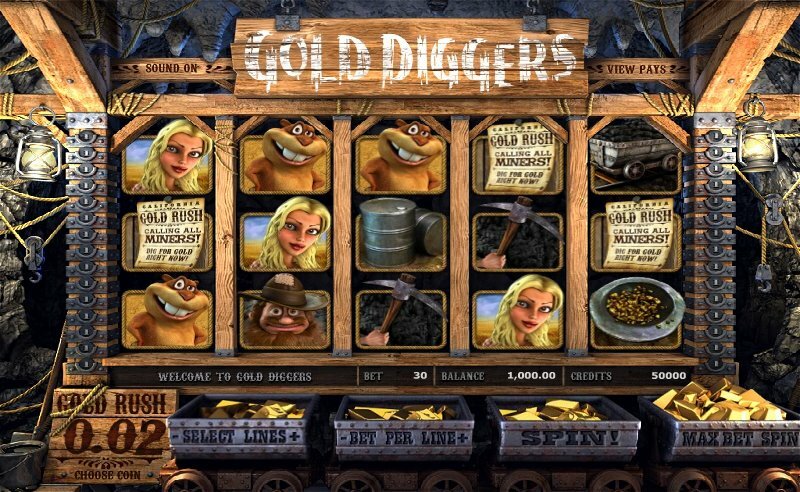 Similar Slots: If you like Gold Diggers, you might like these other BetSoft Gaming slots: At the Copa, Black Gold, House of Fun, Lost, Sushi Bar, The Slotfather.